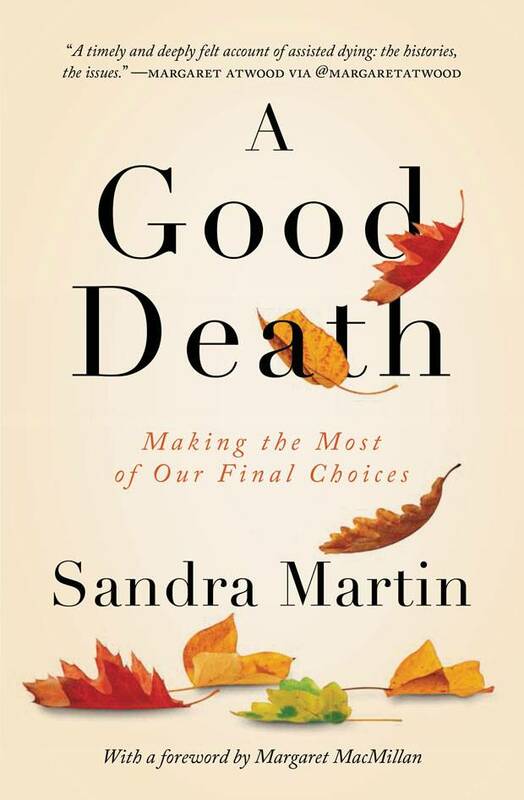 Sandra Martin is author of A Good Death: Making the Most of Our Final Choices, which won the B.C. National Award for Canadian Non-Fiction in 2017 and was a finalist for both the Donner Prize in Public Policy and the J.W. Dafoe Book Prize. In the long struggle to legalize physician-assisted death in this country, we had no renegade doctors willing to risk their freedom and their livelihoods by admitting they had helped suffering patients die. Nobody like Henry Morgentaler in Quebec, who had openly performed abortions on women with unwanted pregnancies and dared the authorities to arrest him. Nobody like Jack Kevorkian in Michigan, a.k.a. Dr. Death, and his Thanatron, which enabled patients to press a button that would release a deadly drug into their veins. If doctors actively helped their patients die, they did it in secret. Doctors are trained to save lives, not end them, and they work in a system that puts curing above caring. Besides risking jail time on murder charges, they had families to support and reputations to maintain in a hierarchical profession that was adamantly opposed to any form of physician-assisted death. In practice, many physicians, after visiting their imminently dying patients on hospital rounds, simply wrote orders for sedatives and pain drugs to ease agitation and distress, and walked away assuming that nurses would deliver the medications and, as one doctor told me, "I knew I wouldn't be seeing that patient again." Sidestepping the intimacy of death has not been so easy since the Supreme Court ruled, in the Carter decision of Feb. 6, 2015, that grievously suffering patients had the right to ask for help in ending lives that had become intolerable. In the process, two sections of the Criminal Code were declared invalid. But the decision was suspended for a year, to give the government time to enact legislation, "if it so chose," that reconciled the Charter rights of individual doctors and patients in any " legislature and regulatory response." That's a key point, because under our system, universal health care is mandated under the Canada Health Act, but medical services are delivered and regulated provincially. In its carefully worded language, I believe the Supreme Court was talking about reconciling the Charter rights of patients and doctors not only in federal legislation, but at the provincial level as well. How to balance often competing values has bedevilled the country ever since the Carter decision, amidst a conservative medical culture that espouses, but is reluctant to deliver, patient-centred care at end of life; a federal government that enacted a restrictive Medical Assistance in Dying (MAID) law; and provincial exemptions that allow publicly funded faith-based institutions and long-term care homes (outside Quebec) to refuse to provide MAID on their premises. While constitutional challenges slowly grind their way through the hierarchical provincial court systems, so many doctors have erred on the side of caution that some desperate patients have voluntarily refused to eat and drink, in order to hasten their deaths. Others have died in secret by self-inflicted and often violent means. Still others who can afford it have booked flights to Switzerland, the only country that allows foreigners to receive an assisted death. A good number of patients who have been approved for MAID have died before it could be provided. Many who are acutely ill have forgone pain drugs and other medications to remain lucid enough to affirm consent before the procedure. And patients suffering from intractable mental illness and other non-terminal diseases, who would have qualified under the Supreme Court decision in Carter, have not even been able to have their requests assessed under the current law. As a journalist, I believe in the power of narrative. Personal stories can alter perceptions, as I have learned in writing about the hopes and fears of patients, the anguish of survivors scarred by the trauma of watching loved ones suffer and the courage of doctors who risk censure and opprobrium to care for their patients. But personal stories aren't enough. We need compliance, oversight and regulation. Nevertheless, an idea that was once impossible to imagine is becoming normalized. An estimated 2,500 people in Canada have died with medical assistance in the past three years. There is no turning back. We are a country that recognizes that medical assistance in death is a human right, however limited the access and however myriad the hurdles. For every step forward, however, new roadblocks pop up, forcing patients and their families to play a desperate end-of-life version of a demonic video game. Charting the wobbly path from constitutional challenge to sensible legislation is the key to ensuring that medical assistance in dying is equitable to all of us, no matter the nature of our grievous illness, no matter where we live. 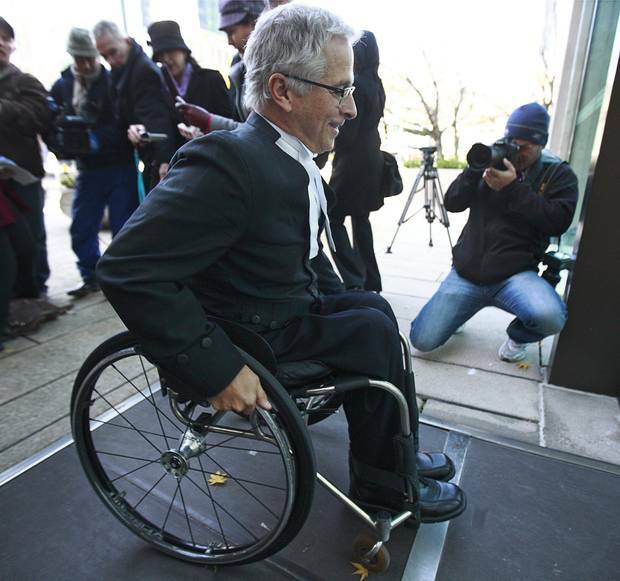 Nov. 14, 2011: Constitutional lawyer Joe Arvay arrives at B.C.’s Supreme Court in Vancouver to represent Gloria Taylor, 63, a Kelowna woman who suffered from ALS. A few years later, Mr. Arvay would be involved in another pivotal case on medically assisted dying, the Carter challenge. Three years ago, on a crisp, sunny day in late January, I met constitutional lawyer Joseph Arvay in his offices in a renovated brick-and-glass heritage building in the old mercantile section of Victoria. Compact, with silver-grey hair and an intense gaze, he seemed preoccupied, even nervous, as he waited for a decision in the constitutional challenge that his clients had brought against the prohibitions on assisting a suicide. Little did he know that, less than a week later, the Supreme court would rule in their favour. More than two decades earlier, the court had made the opposite ruling in a challenge brought by Sue Rodriguez, a single mother in her early 40s, with a nine-year old son, who was facing a premature and dreadful death from amyotrophic lateral sclerosis (ALS). Back in the early 1990s, Canadians heard a lot about the sanctity of life. Like many such lofty ideals, the concept that life is precious was tossed around in legal, medical and ethical discussions, but many people were not clear what it meant, in a practical sense, to an irredeemably suffering patient with no hope of recovery who was begging for death. Was life always to be cherished, even when it meant that an unwilling patient was being kept artificially alive with the help of machinery? The Charter of Rights and Freedoms was in its infancy, no other jurisdiction in the world had legally implemented a physician-assisted dying regime and most of the Supreme Court justices believed that it was up to Parliament, not the court, to rewrite the law. But over the next two decades, public support burgeoned in favour of physician-assisted death. Other jurisdictions, including the U.S. state of Oregon and the Netherlands, not only legalized the process, they kept detailed statistics which concluded that the vulnerable were not being coerced into ending their lives; that the number of assisted deaths constituted a minute proportion of annual mortality figures; and that, indeed, palliative care improved in permissive regimes for the simple reason that asking for medical help in dying required an end-of-life conversation between patient and doctor about values and choices. What hadn't changed since the Rodriguez case was Parliament's intransigence in refusing to table assisted-dying legislation. Several backbenchers, including Conservative MP Steven Fletcher and Bloc Québécois MP Francine Lalonde, had introduced private member's bills over the years, but none had succeeded, primarily because none had achieved support from the government of the day. A similar frustration was erupting on the ground. 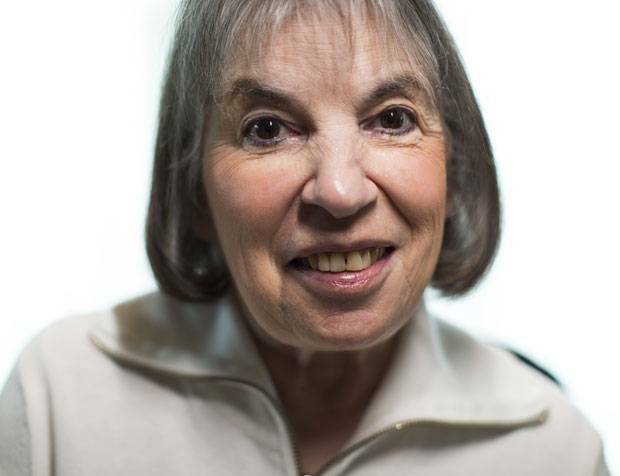 Dying with Dignity, an advocacy group that began with a few people, including the late activist nurse Marilynne Seguin, in the 1980s, was maturing into a solid organization with affiliations to other right-to-die groups around the world. Some desperate patients complained that DWD wasn't aggressive enough – that, instead of helping people die, it was content to provide practical advice on end-of-life choices and psychosocial counselling, and to lobby professional associations and politicians. But it was that very same low-pulse reasonableness that earned the organization respect as a community force uniting doctors, lawyers, activists and volunteers in the struggle to enshrine patient choice in end-of-life care. 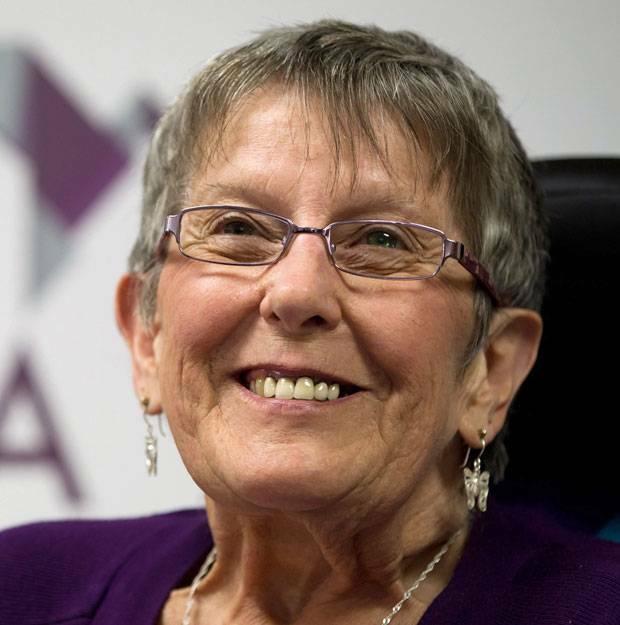 Meanwhile, a doctor-led movement in Quebec, the most socially progressive, secular province in Canada, prompted Véronique Hivon, then a junior minister in the Parti Québécois government, to introduce end-of-life legislation in the National Assembly in June, 2013. Quebec nimbly side-stepped the federal Criminal Code by arguing that dying was part of health care, a provincial responsibility. Two years earlier, on the other side of the country, the British Columbia Civil Liberties Association had mounted a new legal challenge, in the B.C. Superior Court, to the Criminal Code prohibitions against assisting a suicide. Mr. Arvay led the BCCLA's pro-bono legal team all the way to the Supreme Court. Having watched the Rodriguez decision from the sidelines in 1992-93, Mr. Arvay had mulled its strengths and weaknesses and contemplated the strategy he would use if he ever had the chance to relitigate the case. Instead of a single plaintiff, he and his colleagues built their case around a consortium of clients. They included the family of the late Kay Carter, after whom the Supreme Court challenge is named. She had been seriously disabled from excruciating spinal stenosis, and in 2010, some of her grown children had helped her travel to Dignitas, a death clinic in Switzerland. On their return to Canada, Ms. Carter's family members feared they might be prosecuted for aiding a suicide. Other plaintiffs included Gloria Taylor who, like Ms. Rodriguez, had ALS; and Elayne Shapray, suffering from secondary progressive multiple sclerosis. The patients at the heart of the case were competent adults with disabling, progressive diseases who had voluntarily and persistently expressed a wish to have medical assistance in dying, at a time of their choosing. None was terminally ill.
Mr. Arvay told the nine black-robed justices that his side was asking the court "to recognize the floor, not the ceiling of what is available to our clients." In other words, the challengers were seeking the most basic, no-frills remedy the court could deliver. They were playing it safe in a gamble with far-reaching consequences that we continue to confront. The alternative was to aim higher and include mature minors (16– and 17-year-olds) and incompetent dementia patients – and to risk losing everything. Mr. Arvay's key arguments were based on the Charter, especially Section 7, which pertains to life, liberty and the security of the person. His argument, that people should have the right to die as an escape from their suffering, had to find a way to trump Canada's position that the law against assisting a suicide was designed to protect people from being arbitrarily killed. Mr. Arvay's ingenious solution was to plead that the law was forcing people to kill themselves before they wanted to die, because they were afraid to wait until they might need assistance. In other words, the law was depriving suffering patients of their Charter 7 right to life. The Supreme Court agreed. Suicide had been decriminalized in 1972, but helping somebody else die, no matter the circumstances, remained a crime. That left individuals with a "cruel" choice, according to the court. Either a patient "can take her own life prematurely, often by violent or dangerous means, or she can suffer until she dies from natural causes," the judges wrote, in one eloquent voice. Consequently, the court struck down the Criminal Code prohibitions against assisting a suicide for competent adults with "a grievous, irremediable condition," who made a voluntary and persistent request to die. The first giant step had been taken. Patients had scored a legal victory for choice at end of life. But that didn't mean doctors were willing to help them die. "Let the vets do it," an eminent practitioner told me dismissively. "Killing patients isn't medicine." Ellen Wiebe, a clinical professor in family medicine at the University of British Columbia, had no intention of becoming an assisted-death provider until the Supreme Court decision in the Carter case. In the beginning there was Ellen Wiebe, a clinical professor in family medicine at the University of British Columbia and a specialist for more than 40 years in women's health, providing antenatal care, contraception and medical abortions. We met last September in Willow Women's Clinic in Vancouver, where she is the medical director. 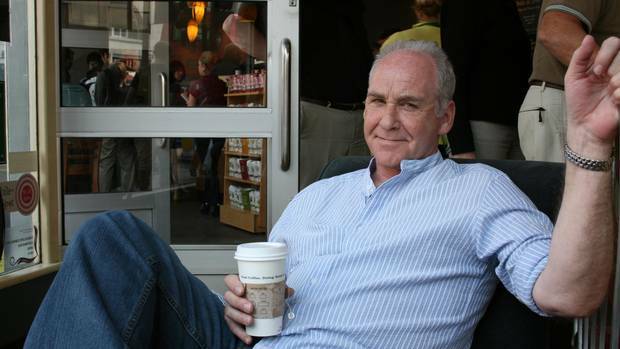 Tall, lean, with greying hair clipped short around her face, she looked up from her computer when I was ushered into her office, and stood up, soaring above me like a giraffe. As she greeted me with a firm handshake, her hazel-eyed gaze was unwavering, her speech considered and I quickly suspected that her tolerance for fools was finite. But underneath the drive and the ferocity, she has a laugh as big as all outdoors. It rumbles up from somewhere in her belly in a raucous, infectious bark that bursts out of her mouth as though she has been poked by a laughing stick. Until the Supreme Court decision in Carter, Dr. Wiebe had no intention of becoming an assisted-death provider, because, as she told me, she assumed that palliative-care doctors would help qualifying patients die. After all, caring for patients at end of life was their proclaimed specialty. As a practice, palliative care, which had emerged in Canada in the 1970s as a holistic approach to end of life, was supposed to take the sting out of dying, wherever it occurred: hospice, home or hospital. Its practitioners, often coming from a religious or spiritual background, had evolved a patient-centred philosophy about withdrawing futile treatment, providing psychosocial counselling, and easing symptoms with increasing doses of sedatives and painkillers while waiting for the inevitable last breath – however protracted that might be for patients, and however agonizing for loved ones sitting vigil. It was a common assumption in the medical community that palliative-care doctors would take on assisted dying, says Michael Gardam, an infectious-disease specialist at the University Health Network in Toronto. Like many doctors, he thought that providing an assisted death seemed like "another tool" that such doctors could use to help patients at end of life. Not so. In October, 2015, the Canadian Society of Palliative Care Physicians made it official. "Palliative care does not include physician-hastened death," the group announced in a bald statement. "Doctors are very conservative," Dr. Gardam says. Whenever there is a big shift in how a specialty operates, there is an inherent reluctance to accept a new way of practising medicine. Palliative-care doctors "grew up in an era when physician-assisted death wasn't possible," Dr. Gardam notes, "so it is going to take a while for them to wrap their heads around it." That attitude, though, ignored the sensibilities of the boomer generation – and its insistence on making its own choices. After all, Ms. Rodriguez had had access to excellent palliative care in the early 1990s, but she didn't want to succumb to the ministrations of others. She wanted to live until she decided it was time to die, and she wanted to do it quickly and while she was still lucid. Palliative care can dull the pain and sedate you into unconsciousness, but it can't give you control or choice – and that is what Ms. Rodriguez wanted. So did Donald Low, the former chief of microbiology at Mount Sinai Hospital in Toronto, who had reached national prominence during the 2003 SARS epidemic. Days before Dr. Low died of a brain tumour in 2013, he made a video in favour of physician-assisted death. Once a dynamic, decisive, energetic leader, Dr. Low sat slumped on a chesterfield with one eye closed and the other held open by tape. "A lot of clinicians have opposition to dying with dignity," Dr. Low said in the video, which went viral. "I wish they could live in my body for 24 hours and I think they would change that opinion." Dr. Low insisted that he wasn't "afraid of dying." What he feared was a "protracted process where I'm unable to carry out my normal bodily functions and talk with my family and … enjoy the last few days of my life." 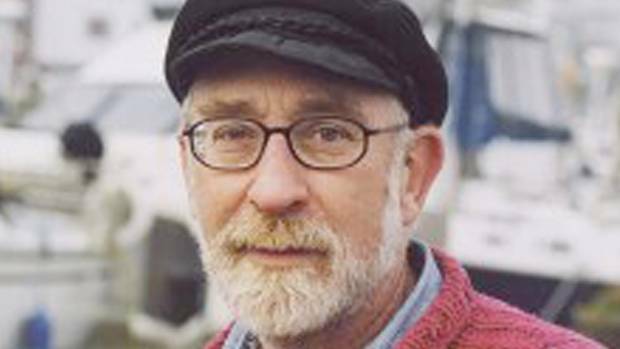 Watching Dr. Low implore his medical colleagues to imagine themselves in his position – not as doctors, but as dying patients – was "the icing on the cake" for Dr. Gardam, a former student and colleague of the late microbiologist. "I was trained in the same conservative milieu as everybody else," he acknowledges, "but you have to recognize this is not about you. It is about the patient." Dr. Wiebe took that idea further. What good is the legal right to ask for an assisted death, she asked herself, if suffering patients can't find doctors willing to help them die? She realized "there would be a need for providers, and I needed to learn how to do it." After researching assisted-death protocols in Oregon and the Netherlands, she and her medical partner, Dr. Rosemary (Roey) Malleson, flew to Amsterdam in January, 2016, to train with Dutch doctors in the ethics and practicalities of prescribing and administering lethal medications. The Dutch doctors all said some variation of the same statement about the decision to help a patient die: "I must be convinced." At first, Dr. Wiebe thought, "What a patriarchal attitude." But she soon realized that the decision to help a patient die should never be an easy one. She would need to be personally convinced, in every case, that it was ethically appropriate. There are laws and regulations about medical procedures, but there are also lessons to be learned from patients, and interpretations to be made by doctors. "Every assisted-death case is different, every birth is different," she says, noting that "I have delivered a thousand babies, so I know." But helping somebody die is different from merely accommodating a patient's request, say, to give birth in a squatting position, because, as Dr. Wiebe puts it, "I am the one actually pushing the syringe." Now, Dr. Wiebe provides choice to patients at both ends of life, in the same clinic. She believes that a physician-assisted death is a basic human right for grievously suffering patients, but she "certainly did not do it until it was legal." By legal, she means Feb. 6, 2016, the date when the Carter ruling came into force –in a typically complicated Canadian compromise. The court had given the government a four-month extension, to June, 2016, on its legislative timetable. But Quebec had already enacted and implemented its own assisted-dying regime. During the extension period, qualifying patients in Quebec could receive medical assistance in dying. Patients elsewhere, however, had to petition a Superior Court judge for an amendment under the criteria outlined in the Carter ruling. This process remained in place during the four-month extension. Hanne Schafer, a clinical psychologist in Calgary, was the first person to request a judicial exemption. Ms. Schafer had been in her early 60s when she was diagnosed with ALS in 2013. Two years later, she could no longer speak or swallow. She drank and ate through a tube in her stomach, propped up in a wheelchair, with her neck supported by a brace, and communicated by typing with the fingers of one hand to activate a computerized speech program. With the help of close friends and family, Ms. Schafer hired a lawyer, prepared the argument and the affidavits, and secured a hearing before a senior judge at the Court of Queen's Bench in Alberta. 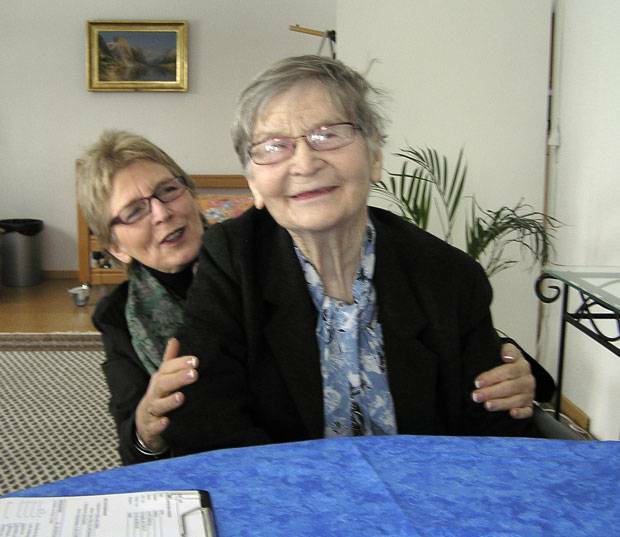 Then she had to find two doctors: one who was willing to provide a medically assisted death and another who could provide an independent assessment that she met the Carter criteria for grievous and irremediable suffering. There was no way for her to find a willing doctor in Alberta, short of cold-calling names in the phone book, because her home province had not publicly announced its co-ordinated response to the legalization of physician-assisted death. So her friends and family mined their contacts, following a web of connections from Calgary to Toronto to Amsterdam to Vancouver, and came up with Dr. Wiebe. That's the way women used to find backstreet abortionists before the Supreme Court ruled in the Morgentaler case that a woman had the legal right to end an unwanted pregnancy. Ms. Schafer, who by then was only able to use the thumb on her right hand, flew from Calgary to Vancouver, where Dr. Wiebe had to persuade a pharmacy to release the lethal medications in B.C. for an assisted death that had been authorized by an Alberta court. After an arduous journey, both legal and geographical, Ms. Schafer died, as she wished, on Feb. 29, 2016, and was spared the demise she feared: a gradual shutdown of her body that might have left her with respiratory failure or choking to death on her own phlegm. Shamed by the media coverage of Dr. Schafer's risky trek from Calgary to Vancouver, Alberta hastily released its patient plan. By then, nearly 80 doctors had come forward as willing providers, according to geriatrician James Silvius of Alberta Health Services. None of that would have happened so quickly without Dr. Wiebe's audacity as a provider. That's why she is in the vanguard, a fearless doctor who is leading her reluctant medical colleagues to an ethical tipping point that is normalizing patient choice in death as it already is in life. 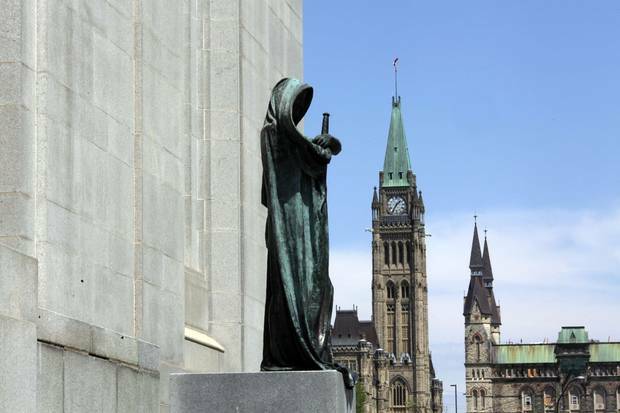 Ottawa’s Parliament buildings loom behind the statue of Ivstitia (Justice) on the front steps of the Supreme Court. 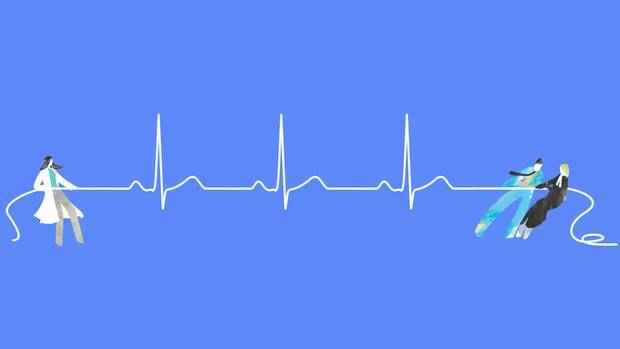 Who controls dying – patients or doctors – is the dilemma that has always been at the heart of the right-to-die movement. The Supreme Court had opted for patients. But Parliament tipped the balance in the other direction with the passage of its Medical Assistance in Dying law (MAID) in June, 2016. 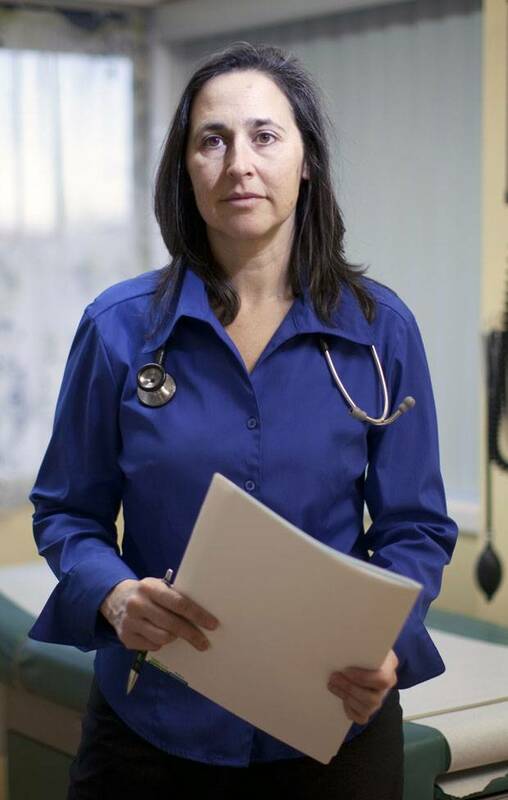 Despite the recommendations of two independent committees – the Ontario-initiated Provincial-Territorial Expert Advisory Group on Physician-Assisted Dying and the government's own bipartisan Special Joint Committee on Physician-Assisted Dying – the law did not shelter MAID underneath a compassionate umbrella of end-of-life care, as Quebec had done in its legislation. Instead, MAID was on its own as a separate entity, and not linked to palliative care. Both committees had gone beyond the "floor" that Mr. Arvay had defined before the Supreme Court in the Carter decision: Both recommended allowing MAID for dementia patients who had completed advance requests, after diagnosis but while competent. In addition, the parliamentary committee had recommended that publicly funded institutions with religious affiliations should not be exempted from providing MAID. In other words, they couldn't claim a conscientious objection on behalf of insensate bricks and mortar, especially if those bricks and mortar were funded by taxpayers. Forget the floor. The Liberal government excavated the basement as a platform for its regressive MAID law. It excluded the option of assisted death for patients suffering primarily from a treatment-resistant mental illness; for terminally ill mature minors; and for people who had completed advance requests after being diagnosed with some form of dementia, but while they were still competent. However, it did agree to study the literature on the excluded categories and to report back (although not to make recommendations) before the end of 2018. Once again, suffering patients who didn't fit the cookie-cutter notion of acceptable illness would be left to their own often desperate measures. Patient eligibility, meanwhile, would be determined by two independent medical opinions. Qualifying patients had to wait out a reflection period, and also had to be lucid enough to confirm consent immediately before the drugs were administered (either by one of the assessors or by a nurse practitioner). As well, the law added additional preconditions to the Carter criteria, including a "reasonably foreseeable natural death" – a confusing concept, especially since it is notoriously difficult to predict death with accuracy. However restrictive, MAID provided a legislative framework, and that meant a lot in a country that values "peace, order and good government" over unbridled individual freedoms.How to make it work was the issue in a bifurcated health system and an ingrained medical culture. The Netherlands had had decades of on-the-ground experience developing due-care criteria – under which doctors wouldn't be prosecuted for helping their suffering patients to die – before it passed its euthanasia law in 2002. Canada did it the other way around: Instead of evolving standards and infrastructure, we passed a law first, leaving provincial and territorial regulatory bodies and professional associations scrambling to comply with a new and radical regime. Dr. Wiebe "was one of the very, very few people, if not the only one, who was publicly available to do this work very early on," says Stefanie Green, a family doctor specializing in women's health and, like Dr. Wiebe, a MAID provider. Dr. Green, a slim, chestnut-haired woman with an easy banter, lives and works in Victoria, a ferry ride away from Dr. Wiebe. A generation younger, Dr. Green was interested in expanding her family practice to include MAID. She attended the biannual international conference of the World Federation of Right-to-Die Societies in Amsterdam in May, 2016, expecting to see lots of similarly minded Canadian doctors there. Only a handful showed up, which shouldn't have been a surprise, considering the distaste for MAID within the medical profession. Among those attending was Dr. Wiebe, and she and Dr. Green quickly formed a professional relationship. A month later, MAID had limped its way to Royal Assent, and the number of providers in B.C. rose to eight, including Dr. Green. That was "more per capita than anywhere else except for Quebec, which was ahead of us," Dr. Wiebe told me. Dr. Green invited the core group of willing providers to stay in touch by e-mail, using a listserv to compare notes and educate each other about techniques, drugs and assessment tools. Eventually, they formed the Canadian Association of MAID Assessors and Providers (CAMAP), which held its first national meeting one year later. Following in the steps of Dying With Dignity – which was offering MAID webinars to doctors and seminars on advance-care planning for patients, and was training volunteers to work as independent witnesses for people requiring documentation for their MAID applications – CAMAP became both a public voice and a de facto tutoring service for doctors, organizing information-swapping and self-help sessions for members. Dr. Wiebe, who was active in both organizations, was constantly pushing against the "reasonably foreseeable death" clause. What exactly did it mean? Many doctors played it safe, and decided the patient had to be terminally ill, perhaps even imminently dying. She went in the other direction, in an interpretation that would have repercussions throughout the neophyte assisted-dying culture in Canada. 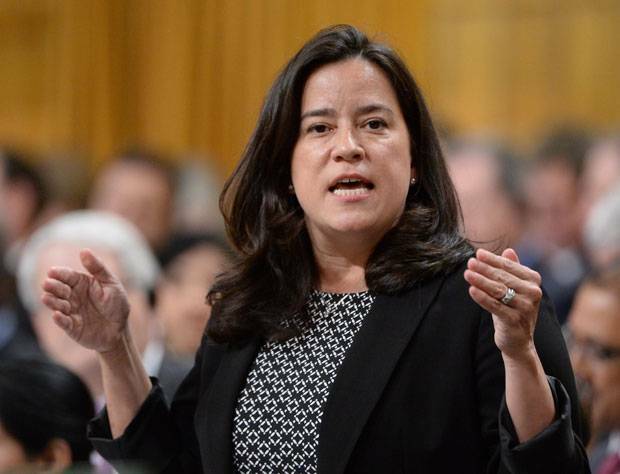 She based her understanding of "reasonably foreseeable" on a statement defending the proposed legislation made in the House of Commons by Justice Minister Jody Wilson-Raybould while Bill C-14 was being debated. The minister was responding to opposition critics who argued that Kay Carter, the key plaintiff in the Supreme Court decision, would not have qualified for an assisted death – an allegation that had been raised in a press conference by Ms. Carter's family. At 89, Ms. Carter had been suffering from a degenerative and immobilizing condition called spinal stenosis, which was restricting her independence, causing her extreme pain and forcing her to lie flat in bed, "like an ironing board," as she herself described her condition. Despite her physical and emotional suffering, Ms. Carter was not terminally ill. Would she even qualify for MAID, under the "reasonably foreseeable death" criterion? Ms. Carter would indeed qualify, the minister responded, based on a combination of her degenerative medical condition, her suffering and her age. The minister added that it would be up to medical caregivers to determine if a patient fit the "natural-death" criterion. While some critics accused Ms. Wilson-Raybould of ageism, Dr. Wiebe took the explanation at face value. As she explained to me, she consulted actuarial tables to calculate that Ms. Carter could have lived another five or six years, had she not travelled in secret to die in Switzerland in 2010. Consequently, Dr. Wiebe defined a "reasonably foreseeable death" as likely to happen within five or six years, a much more expansive interpretation than a prognosis of six months or less, which is the rule of thumb for most assisted-death providers in this country. Dr. Wiebe expanded her interpretation even further in June, 2017, following a court case involving an Ontario patient, known only as A.B. (to protect her privacy). At 77, A.B. had been suffering from degenerative osteoarthritis for more than two decades when she went to the Ontario Superior Court of Justice seeking a ruling that her death was reasonably foreseeable. Her condition had deteriorated, causing her intolerable suffering for which there were no further treatment options. She had approached the requisite two physicians seeking a medically assisted death. Both assessed her medical condition and agreed, separately, that her suffering was grievous. But while one doctor was willing to provide an assisted death, the other balked, fearing that A.B. 's death was not reasonably foreseeable. Consequently, A.B. secured the approval of a third medical assessor. But by then, the first doctor declined to help A.B. – he feared he might be liable to prosecution because the second doctor had refused to support A.B. 's request. After hearing the case, Justice Paul M. Perell ruled that A.B. 's death was reasonably foreseeable, thereby legally establishing that a patient does not need to be terminally ill to qualify for an assisted death. 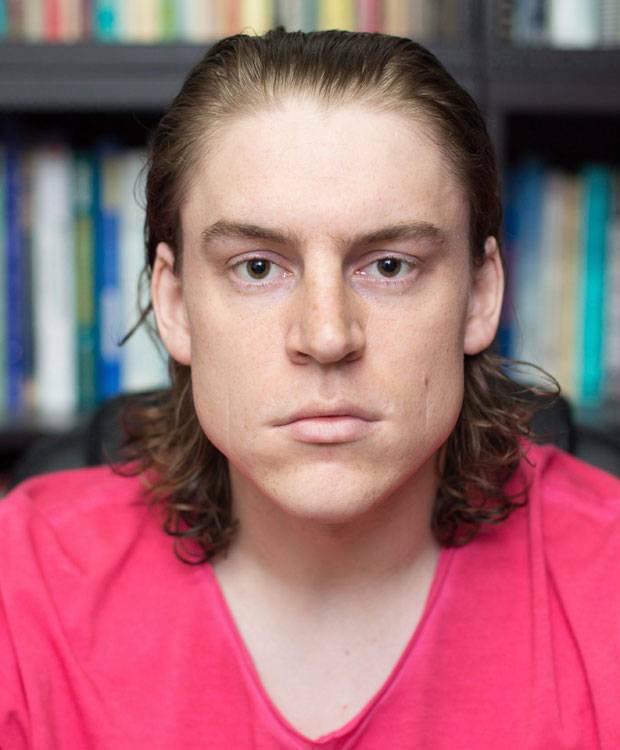 In his reasons, he explained that the language in Bill C-14 "reveals that the natural death need not be connected to a particular terminal disease or condition and is rather connected to all of a particular person's medical circumstances." Neither of the attorneys-general of Ontario or Canada, both of whom were opposed to A.B. 's challenge, appealed the decision. Two months later, A.B. died in Ontario with a doctor's help. After studying the A.B. decision, Dr. Wiebe consulted her actuarial tables once again, and calculated that, at 77, A.B. could have lived with her condition for another 10 years. If she was eligible for an assisted death, perhaps there were other patients on Dr. Wiebe's roster in similar situations who would also qualify – a conclusion that hadn't yet occurred to most stakeholders in the assisted-dying world. One of these patients was Robyn Moro, a Delta, B.C., woman with Parkinson's disease, who had approached Dr. Wiebe in March, 2017, to request an assisted death. Dr. Wiebe had refused, because she didn't think Ms. Moro's death was "reasonably foreseeable" under the law. "To say no to her was one of the hardest things I have ever done," Dr. Wiebe said later to Joan Bryden of The Canadian Press. Disappointed, Ms. Moro joined what had become known as the Lamb constitutional challenge to the "reasonably foreseeable" natural-death criterion in Bill C-14. The challenge had been mounted a year earlier by the BC Civil Liberties Association, the same group that had initiated the Carter challenge. The Lamb case was named after the initial plaintiff, Julia Lamb, a 25-year-old woman who had been diagnosed at 16 months of age with spinal muscular dystrophy, an incurable progressive disease that affects breathing, swallowing, speaking and walking. Ms. Lamb feared, as she said in her deposition, that she could "become trapped in a state of physical and mental suffering that goes on for … decades." While the constitutional challenge stagnated in the B.C. judicial system, Ms. Moro's pain markedly increased. She was "suffering terribly," her husband, Len Moro, said in a written statement to The Canadian Press. "I would hold her in my arms as she begged for the pain to stop, yet I could do nothing to help. This is where the law left us." Ms. Moro again consulted Dr. Wiebe about an assisted death. Based on the A.B. decision, Dr. Wiebe calculated that Ms. Moro, at 68, couldn't live for another 10 years, given the severity of her condition. Therefore, her death was reasonably foreseeable. On Aug. 31, 2017, Dr. Wiebe provided Ms. Moro with an assisted death. Afterward, Len Moro complained that it was wrong to deny a suffering patient an assisted death simply because they were not close to death, and he deplored the lack of consistency in applying the terms of the Carter decision across the country. It didn't make sense, he said, "to be ineligible one day and then eligible the next based solely on an interpretation." That, says Dr. Gardam, the Toronto infectious-disease specialist, is why physicians such as Dr. Wiebe are so important in pushing against barriers and creating cracks to let the light shine on new ways of delivering patient care. "That is really hard to do in medicine," he says. "You can count on one hand the number of people who are going to have that kind of dedication to their patients." "For all our talk about innovation and science-based medicine, and how we hold ourselves to the mirror, we are deeply uncomfortable with people who are challenging the status quo," he says. The position that Dr. Wiebe has carved out "is not a pleasant place to be in. It is hard, it is lonely," he says. And yet, since Carter, no doctor has been prosecuted in Canada for helping a patient die. Even though the culture is changing, however glacially, access remains a serious issue, one that puts enormous stress on already-suffering patients and their families. That's why Dr. Gardam came forward as an assessor and provider. "MAID is now legal, and patients are asking for it," he says. "It is their right, and I am doing this because somebody has to, and there aren't many people who are willing to help with the MAID process." Watching extremely ill patients experience delay after delay, as though scheduling MAID is as mundane as making an appointment to "get your snow tires on," is "heartbreaking," he says. As a doctor, he "can't think of anything more important for patients than deciding how they want to die." But as the provider, he needs to know that "there is no ambiguity" in the process; that all the evaluations have been done; that both he and the patient are convinced that an assisted death is legal, ethical and appropriate. "It's a really remarkable thing for all of this to come together to help that person," he says. "The amount of emotion in that room is overwhelming, like nothing I have ever experienced in medicine." 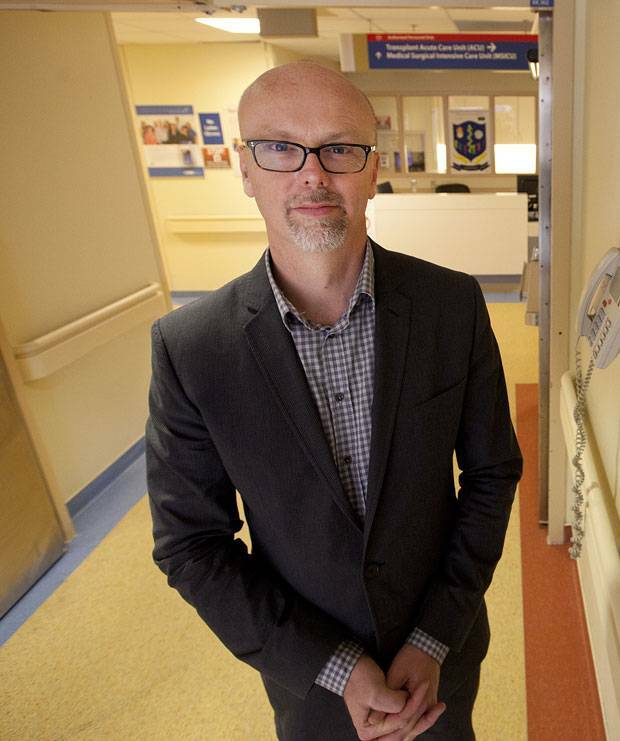 He has never, he adds, regretted helping a patient to die, which he says is "the most patient-centred care" he can provide. But intervening to end another person's life still "unnerves him" and leaves him feeling "totally exhausted." And so it should. Helping somebody die is a supremely intimate and definitive medical intervention. That's why we need to pull the shroud off death, the mysterious concept, and talk openly about end-of-life wishes. Sandra Martin outlines the battle for our 'final human right' with sympathy and solemnity, Michael Harris writes. Plus: In an excerpt from the book, Sandra Martin explores why a Dr. Kevorkian-like figure never emerged in Canada. The biggest attitudinal change in the medical community has been among palliative-care doctors. Russell Goldman, director of the Temmy Latner Palliative Care Centre at Mount Sinai Hospital in Toronto, told me early in June, 2016, that, for two years, his group had been trying to reach a consensus between doctors willing to provide MAID and those opposed to doing so. Finally, they decided that any patient accepted as palliative was entitled to "autonomy." Doctors on the service can abide by their individual conscience rights and refuse to assess patients or provide MAID – but in doing so, they surrender primary responsibility for those patients, during the intervention, to willing doctors. The hospice where I volunteer in Toronto was once adamantly opposed to assisted dying. "It is never going to happen here," I remember an administrator telling me in 2015. But then the law was passed, and slowly doctors came forward, and now the hospice does allow patients to have an assisted death on its premises. Very few ask for such assistance, and the administrator is personally opposed to MAID on religious and professional grounds, believing it is contrary to hospice values. But she also recognizes that people who come to the hospice to die are entitled to choices. Even the conservative 85,000-member-strong Canadian Medical Association has had a change of heart. As recently as January, 2015, the CMA executive – grudgingly – modified its adamant opposition to physician-assisted death by releasing an update to its long-standing policy. "There are rare occasions where patients have such a degree of suffering, even with access to palliative and end-of-life care, that they request medical aid in dying. In such a case, and within legal constraints, medical aid in dying may be appropriate." Compare that chilly condescension to a vote among delegates at the CMA's annual convention last August in Quebec City. Not only were they in favour of a patient's right to choose MAID, they wanted the service expanded. Eighty-three per cent of attendees voted in favour of permitting assisted death for patients suffering from grievous illnesses – including dementia – who had made advance requests while they were still competent. Two-thirds supported access for terminally ill mature minors. And a slim majority of doctors (51 per cent) wanted psychiatric patients to be included. In fact, mental illness, the condition that is getting the least support from doctors, is the only one of the three excluded categories to have been specifically tested in court. An Alberta woman, known only as E.F., applied to the Alberta Court of Queen's Bench in May, 2016, for a constitutional exemption for a physician-assisted death. She argued that she qualified under Section 127 of the Carter ruling, in which the Court defined the criteria for asking for such a death. The patient has to be adult, competent, clearly consenting to the "termination of life" and with "a grievous and irremediable medical condition (including an illness, disease or disability) that causes enduring suffering that is intolerable to the individual in the circumstance of his or her condition." The judges went on to state that patients are entitled to refuse treatment plans that they find unacceptable. According to court documents, E.F., 58, suffered from a "psychogenic movement disorder" that manifested itself in muscle spasms in her head and shoulders, causing severe and constant pain and migraines. The spasms had caused her eyelids to fuse shut, so that she was, effectively, blind and had so compromised her digestive system that she had lost a significant amount of weight and muscle mass. Unable to walk, she had to be carried, or use a wheelchair. In her deposition, she said that she was not depressed or suicidal: Since diagnosis, nearly a decade earlier, she had undergone many failed traditional and experimental treatments and therapies. She was "simply exhausted after years of suffering indescribable pain." Unlike Ms. Schafer's application three months earlier in the same court, E.F.'s was challenged by the attorneys-general of Alberta and Canada. The problem, government lawyers contended, was the nature of E.F.'s illness: It was based on a psychiatric condition, and she was not near death. Both were exclusions that the federal government was trying to establish in Bill C-14. The attorneys-general lost at the Court of Queen's Bench and took the case to the Court of Appeal, the highest court in Alberta, where they lost once again. The Carter decision "does not require that the applicant be terminally ill," the judges ruled, and furthermore, "an exclusion for psychiatric illness cannot be found expressly" in Carter. In fact, they argued, Section 127 of Carter "ensures that persons with a psychiatric disorder are not deprived of exercising their rights, provided they can establish that they are both competent and clearly consent." 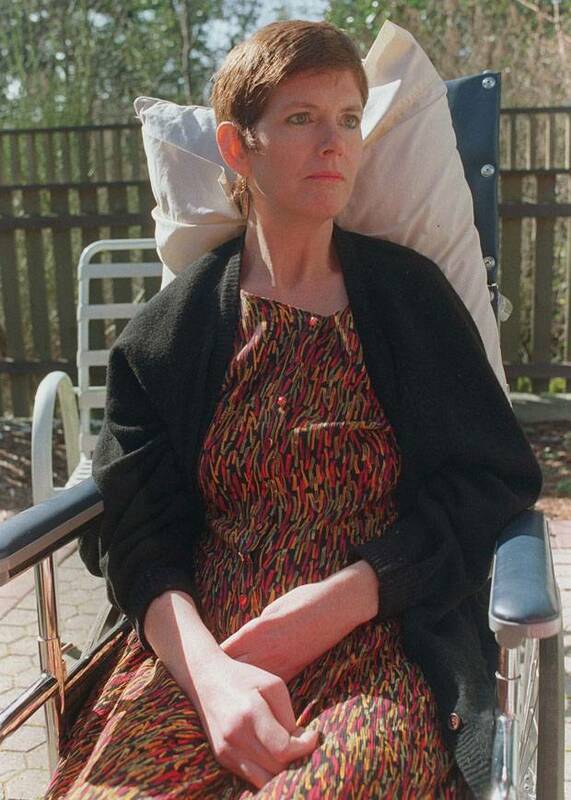 Having been given a judicial exemption, E.F. and her family, as Ms. Schafer had done earlier, travelled to Vancouver, where she was given an assisted death in early June, days before MAID became law. Nobody has yet raised a constitutional challenge on the exclusion of mental illness, yet no patient other than E.F. has received an assisted death primarily for irremediable mental suffering – although some have taken their own lives. One of those psychiatric patients was Adam Maier-Clayton, a 27-year-old business-school graduate who booked himself a motel room in Southwestern Ontario in mid-April, 2017. "I am my own saviour," he wrote in his final Facebook post, before reportedly consuming an overdose of Nembutal, a drug he almost certainly acquired illicitly on the Internet. In the months before his suicide, Mr. Maier-Clayton had appealed to Dr. Weibe for an assisted death. She had communicated with him several times by Skype and e-mail and had read his psychiatric file. He "had severe pain that disabled him," Dr. Wiebe says. "It had no physical cause, so it was psychiatric. And yet, nobody could help him with his symptoms." His natural death was not reasonably foreseeable, so she could not even assess him for MAID. But there was another problem, she says: "I have real trouble helping somebody die who is 27, because I have seen young people who were desperately unhappy and unwell in those ways change." She was right to exercise caution: Helping somebody die should never be an easy decision. That is especially true with mental illness. The bar should be high. But that doesn't mean it should be impossible, as it was with Mr. Maier-Clayton. Besides, approving somebody for an assisted death sometimes gives a patient enough hope to carry on living. Dr. Wiebe has seen that happen in her own practice. "They are so grateful to be given the permission [to die], and then they don't need it, or they need it much later," she says. "It just gives them the ability to put up with so much more." A similar option might have offered Mr. Maier-Clayton the sustaining beacon he needed. "He was so articulate and so clear," Dr. Wiebe says. "His thinking was not destroyed by his mental illness. When I talked with him, he was still trying more therapies. If he could have gotten even a little bit better, he would still be alive." Giving patients approval for medically-assisted deaths can sometimes give them the hope to carry on living instead, Ellen Wiebe says. When it comes to the right to die, the public has always been ahead of the politicians, the lawyers and the doctors. MAID deaths represent fewer than 1 per cent of all deaths in Canada. Demographics being what they are, with the aging baby boom stumbling its way to old age and beyond, the number of requests for assisted death is expected to rise. Will there be enough willing providers to meet the demand? That is a question worrying more than just patients. It is especially important for doctors who are not on salary, but who run offices and who pay staff – and can only bill according to line items on provincial or territorial fee schedules. Providing MAID is often grossly underpaid, considering the hours of time it takes to assess patients, complete paperwork and deal with regulatory bureaucracies. Besides, providers like Dr. Wiebe can only help one patient at a time. We need legislative change to make Bill C-14 compliant with the Charter and the Carter decision, especially in terms of the vague "reasonably foreseeable natural death" criteria, the exclusion of mental illness and bizarre faith-based institutional exemptions. The refusal of most faith-based hospitals and long-term care homes to allow MAID on their premises is a major challenge. Patients who call an ambulance are almost always taken to the nearest hospital, without first checking its religious affiliation. Residents of long-term care homes, who decide to ask for an assisted death, discover in their weakened and vulnerable state that they must go elsewhere. Transferring grievously ill patients to another facility for a legal medical service, especially one that does not require advanced medical or technical skills, is stressful, unnecessary and dangerous for people whose condition is already precarious. Patients must either forgo the death they want, and suffer until they finally expire, or spend their last days and hours being shunted from place to place. That is a cruel choice, words the Supreme Court used in the Carter ruling to explain why they were striking down the prohibitions in the Criminal Code against assisting a suicide. Canada is uniquely positioned, because of the Charter of Rights and Freedoms, to void discriminatory laws. In the Carter challenge, Mr. Arvay, the constitutional lawyer, used Section 7, which guarantees life, liberty and security of the person, to win the right for grievously suffering patients to ask for a medically assisted death. The court ruled that the Charter rights of doctors and patients must be reconciled in any legislature or regulatory response, but it didn't provide an exemption for faith-based hospitals or long-term care homes from complying with the law. So the question must be asked: Are those Charter rights being upheld when doctors are prevented from providing a legal medical service to their patients in faith-based institutions? Similarly, are patients being denied their right to receive a legal, publicly funded medical treatment when doctors are denied access to them because they live in faith-based long-term care residences – facilities which are, in fact, their homes? The federal government has been silent on this issue, and Ontario, to its shame, has passed a provincial law confirming the conscience rights of faith-based institutions in denying patients access to MAID on their premises. A few other provinces have long-standing agreements with health-care providers, but no other province has enshrined such rights in legislation. As Mr. Arvay argued three years ago in the Carter case: "When Parliament is paralyzed, the courts must act." Reconciling the rights of doctors to practise medicine with the rights of patients to receive treatment, wherever they live, is the next imperative in the ongoing struggle to make our final human right – choice in the manner and timing of our deaths – equitable for all Canadians. 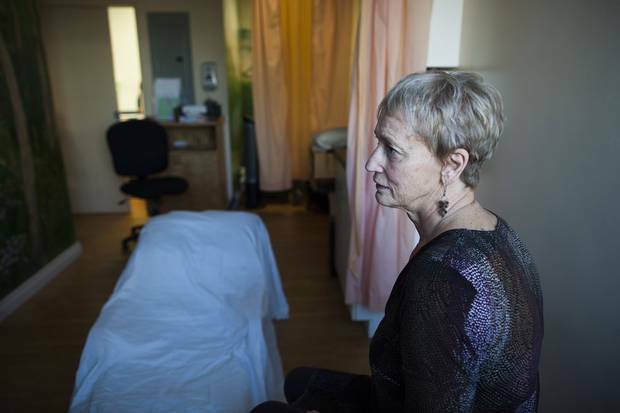 ‘I thought it was ridiculous’: Religious facilities opposing assisted death leave patients in a bind Most publicly funded religious health-care facilities are granted the right to opt out of procedure, leaving patients short of options, Kelly Grant explains. 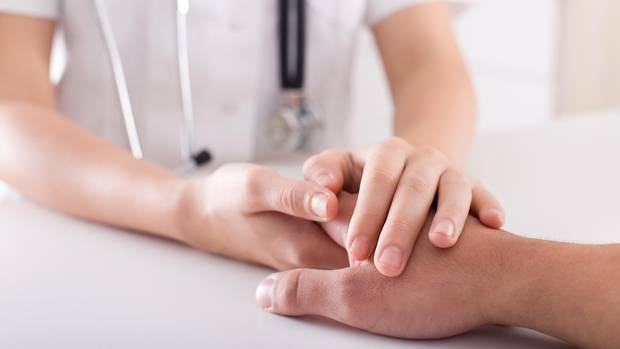 Children, teens, parents asking Canadian pediatricians about assisted dying Seriously ill young people, as well as parents of brain-damaged babies, are requesting a practice that's now only legal for adults. Kathryn Blaze Baum investigates. Tom Koch: Assisted death should be the final option Physicians should only end a life after they assure the fullest possible life for a person.